The chemical element calcium is a key component of most plants and animals. A soft, silvery-white metal, calcium is never found in its pure form in nature since it easily forms compounds by reacting with oxygen and water. This naturally occurring element is the most abundant mineral in the human body and is vital to human health. A lack of calcium in our diet is a risk factor for osteoporosis (weakness of the bones), which leads to a higher risk of fracture. Osteoporosis occurs because when we do not get enough calcium from our diet, it is reabsorbed from our bones, which act as a reservoir of calcium in our body.3Institute of Medicine (US) Committee to Review Dietary Reference Intakes for Vitamin D and Calcium (2011): Dietary Reference Intakes for Calcium and Vitamin D. National Academies Press (US) Available at http://www.ncbi.nlm.nih.gov/pubmed/21796828 [22.03.2018] This means that getting enough calcium through food is extremely important. Low calcium levels can directly affect bone health and the variety of functions that calcium performs in the body. While dairy products are often considered to be the main source of calcium in the West, sufficient quantities of calcium are also found in many plant-based sources. In fact, there are numerous reasons for favouring calcium from plants: dairy products are not just a source of calcium, but are also one of the top sources of saturated fat,6Westhoek H., J.P. Lesschen, T. Rood et al. (2014): Food choices, health and environment: effects of cutting Europe’s meat and dairy intake. Glob Environ Chang. Elsevier Ltd; 2014;26(1):196–205. as well as a source of dietary cholesterol, sodium, and trans fats. Additionally, there is little evidence that dairy consumption can protect our bones7Thorning T.K., A. Raben, T. Tholstrup, et al. (2016): Milk and dairy products: good or bad for human health? An assessment of the totality of scientific evidence. Food Nutr Res. 2016;60:32527. Available at http://www.ncbi.nlm.nih.gov/pubmed/27882862 – in fact, a Swedish study has shown that milk consumption may actually increase the risk of hip fracture by 9%.8Michaelsson K., A. Wolk, S. Langenskiold et al. (2014): Milk intake and risk of mortality and fractures in women and men: cohort studies. BMJ. 2014;349(1756–1833 (Electronic):g6015. Available at https://www.ncbi.nlm.nih.gov/pubmed/25352269 Hence, dairy products are far from being a healthy source of calcium. While dairy products are often considered to be the optimal source of dietary calcium, the calcium absorption rate from these foods (with the exception of cheese) is not as high as from dark green vegetables, as shown in the table above. Compared to dairy products, you can consume more calcium in the form of dark green vegetables without overshooting your calorie goals. Additionally, the bioavailability of calcium in calcium-fortified soy milk is similar to that of cow’s milk.12Zhao, Y., B. R. Martin & C. M. Weaver (2005): Calcium bioavailability of calcium carbonate fortified soymilk is equivalent to cow’s milk in young women. J. Nutr. 135, p.2379–2382. Available at http://www.ncbi.nlm.nih.gov/pubmed/16177199 [22.03.2018] While the oxalate and phytate content of plant-based foods can reduce calcium absorption rates, plant foods are nonetheless a good source of this nutrient because they also provide other essential nutrients, and, unlike dairy products, they do not have negative side-effects if consumed in sensible amounts. In order for dietary calcium to be absorbed by the intestines, the presence of vitamin D is necessary. Although most people should receive an adequate supply of vitamin D from sunlight for most of the year, in winter, when the days are short and the sun is low, vitamin D deficiency can be a problem. This is of particular importance for people living in Europe, where the prevalence of vitamin D deficiency has reached concerning levels.13Kevin D Cashman, K. Dowling, Z. Škrabáková, et. al. (2016): Vitamin D deficiency in Europe: pandemic?. Am J Clin Nutr. 103 (4), 1033–1044. Luckily, vitamin D can also be found in mushrooms and fortified foods such as plant milks and tofu, but consuming these foods may not suffice and vitamin D supplements may be required to boost calcium absorption during the winter months. While calcium supplements can be useful in cases of extremely low calcium intake or nutritional deficiency,14Gibson, P. S., M. J. Sadler & S. A. Lanham-New (2018): 3 – Authorised EU health claims for calcium and calcium with vitamin D (for low bone mineral density and risk of fractures). In: Foods, Nutrients and Food Ingredients with Authorised EU Health Claims. Woodhead Publishing p.35–47. Available at https://www.sciencedirect.com/science/article/pii/B9780081009222000036 [22.03.2018] there are associated gastrointestinal, renal, and cardiovascular risks.15Reid, I. R., S. M. Bristow & M. J. Bolland (2015): Calcium supplements: benefits and risks. J. Intern. Med. 278, p.354–368. Available at. http://www.ncbi.nlm.nih.gov/pubmed/26174589 [22.03.2018] Caution should be exercised when supplementing with doses of calcium greater than 500 mg in a single serving as it can lead to the calcification of arteries16Reid, I. R. & M. J. Bolland (2012): Calcium supplements: bad for the heart? Heart. 98, p.895–896. Available at http://heart.bmj.com/content/98/12/895.long [22.03.2018] and also increases the risk of cardiovascular problems in the long-term, although this does not apply to calcium present in food.17Bolland M.J., A. Avenell, J. A. Baron et al (2010): Effect of calcium supplements on risk of myocardial infarction and cardiovascular events: meta-analysis. BMJ. 2010 Jul 29;341:c3691. Available at http://www.ncbi.nlm.nih.gov/pubmed/20671013 [22.03.2018] For this reason, the intake of calcium-fortified foods containing 200-300 mg of calcium per portion (for example, commercial plant-based milk) is safe, but doses above this value should be approached with caution. When consuming plant-based milk that is calcium-fortified, the container should be well-shaken as the calcium usually sinks to the bottom. However, it is important to ensure that the body gets a sufficient amount of vitamin D in order to optimise calcium absorption. Supplements should be taken into consideration as they offer a more controlled and more substantial quantity of vitamin D than fortified foods. To ensure healthy levels of calcium and vitamin D, and to find the right dosage for supplementation, blood tests and medical advice should be sought. A vegan diet can provide a sufficient supply of calcium if enough plant-based calcium sources are consumed. 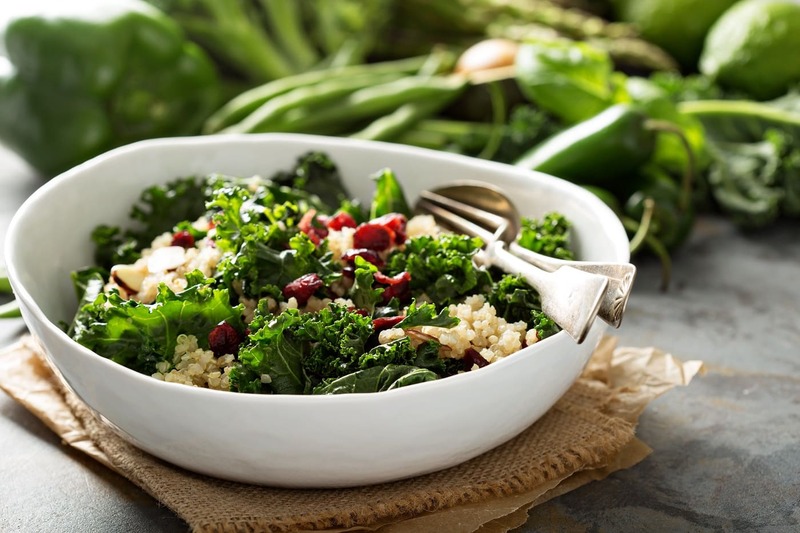 Cruciferous vegetables, leafy greens, beans, and potatoes are valuable sources of calcium. Blanching or sprouting vegetables can decrease the presence of oxalates and phytates and thus increase the absorption of calcium. Plant-based sources of calcium are healthier than calcium from dairy products. Spend enough time in the sun and consider taking vitamin D supplements during times when sunlight is scarce in order to boost calcium absorption. 6. ↑ Westhoek H., J.P. Lesschen, T. Rood et al. (2014): Food choices, health and environment: effects of cutting Europe’s meat and dairy intake. Glob Environ Chang. Elsevier Ltd; 2014;26(1):196–205. 9. ↑ Weaver, C. M., W. R. Proulx & R. Heaney (1999): Choices for achieving adequate dietary calcium with a vegetarian diet. American Journal of Clinical Nutrition. 70, p.543S–548S. 13. ↑ Kevin D Cashman, K. Dowling, Z. Škrabáková, et. al. (2016): Vitamin D deficiency in Europe: pandemic?. Am J Clin Nutr. 103 (4), 1033–1044.